The Building, Construction and Land Use Department is responsible for the administration and enforcement of all ordinances related to issues of development, building, housing, land use, and infrastructure. The department is comprises of the following departments: Code Enforcement, and the Construction Department. In addition, the department is the administration arm of the Planning, and the Zoning Board of Adjustment. 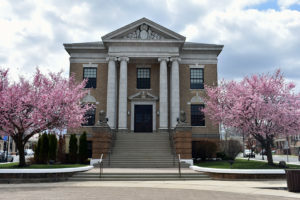 The Construction Code Official / Zoning Officer for the Borough of Carteret who heads the Department is responsible for all support services relating to cases appearing before the Planning Board and the Zoning Board of Adjustment. These cases include all site plan applications, sub-division of land, and variances sought from the Borough’s Zoning Ordinance. The activities of the Construction Department are guided by the Borough’s Construction Official who is responsible for the review and approval of all plans submitted to the Borough for construction permits. As required, the Building, Plumbing, Electrical, and Fire Sub-Code official’s review the plans before any permit are issued. During the course of construction, all building activities covered under permit are inspected for compliance to the approved plans.